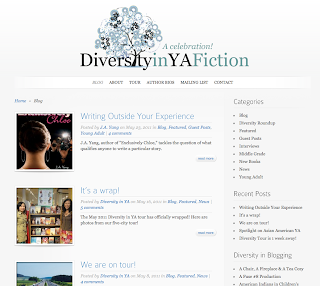 Good articles and links, and an important mission to celebrate diverse stories in Young Adult literature! Thanks for the heads up. The blog looks like a great place to visit and I look forward to watching the effort grow. I had seen this site a few weeks ago. I'll also add in http://glbtrt.ala.org/rainbowbooks/case you didn't know about it yet. Thanks to you both, and Maddox, I adore the rainbow lists from the ALA - so great!